She’s a kelly green heritage choice that caught on for girls in the 1950s. 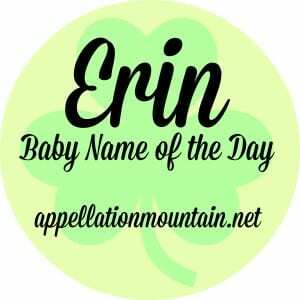 Thanks to Virginia for suggesting Erin as our Baby Name of the Day. Erin is a poetic place name. 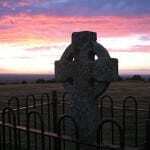 In Irish Éire means Ireland; Éirinn and Éireann are the dative and genitive cases of the name. Just like Caledonia refers to Scotland, Britannia to England, and Columbia to the United States of America, Erin became a romantic way to refer to Ireland. It’s not completely crazy to borrow Erin for a girl’s name. The original name of the country comes from the goddess Ériu. You’ve probably heard Erin go bragh, possibly on Saint Patrick’s Day, possibly emblazoned on a green tee shirt. Turn back the clock to 1798 and this was far more serious business, a revolutionary cry. Inspired by revolutions in the US and France, the Irish rose up against British rule in May of that year. The British crushed the rebellion, imposing martial law and executing traitors to the crown. The Acts of Union followed in 1800, creating the United Kingdom of Great Britain and Ireland. Erin go bragh translates to Ireland forever, and over time it has mellowed, from a defiant shout to a simple statement of affection for all things Irish. Irish influence on baby names has been tremendous in recent decades, from Brian to Aiden. Some of that is down to families of Irish descent preserving their heritage – though many Irish-Americans have been in the US for years. 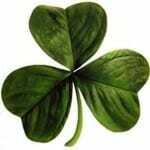 The South Boston Parade for Saint Patrick’s Day dates to 1737. Erin seems to have been a preferred term to refer to Ireland in mid-century America. 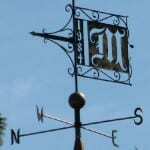 A 1953 television movie was called The Harp of Erin – as in the symbol on the flag above – but I can’t find any plot details. The Irish Catholic fraternal organization the Knights of Equity established a women’s auxiliary in 1954. They’re known as the Daughters of Erin. A handful of women had been given the name earlier, but she first breaks into the US Top 1000 in the 1940s. In the 1960s, Erin Gray was a very successful model. She transitioned to acting, playing trailblazing character Colonel Wilma Deering in Buck Rogers in the 25th Century. Erin Esther Walton was part of America’s favorite family on the The Waltons from 1971 through 1982. It’s unlikely that a girl born around 1920 would have been given the name – but it’s not impossible. Erin Moran, born in 1960 when Erin was very much on the upswing, found fame on television, and is best remembered as Joanie Cunningham on Happy Days and its short-lived spinoff, Joanie loves Chachi, from 1974 onwards. 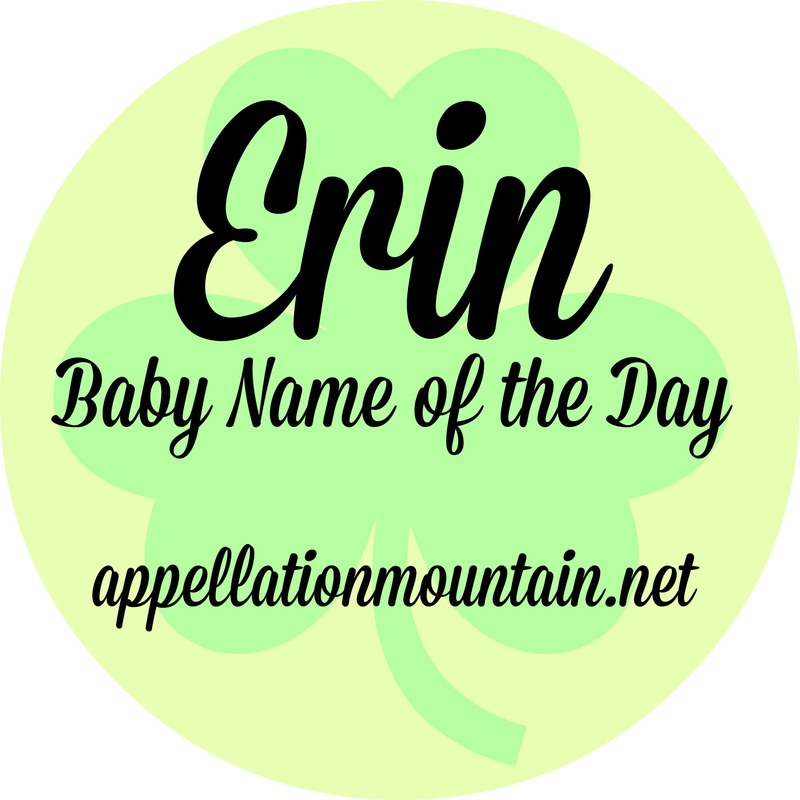 Erin was also boosted by tailored Karen – a Top Ten name in the 1950s – and rapidly rising Irish heritage choice Megan – in fact, I’d bet that Erin and Megan are a pretty common set of sister names. By 1971, she’d cracked the US Top 100, and Erin peaked at #18 in 1983. Today, she’s out of vogue, though at #273, she’s definitely not of use. But we like our place names straight-up in 2014: Brooklyn, London, and even Paris are currently more popular. Alec Baldwin and Kim Basinger used Ireland for their daughter’s name in 1995. Respell her Aerin, and she’s the Estee Lauder heiress, a spelling still much less popular than the original. Overall, Erin’s tailored feel and place name status should qualify her to be a stylish choice circa 2014. But after years of steady use, this one is drifting into mom name territory – poised for a comeback, given another generation or three. Definitely a reason to embrace Aerin … and one to add to my reading list! I like Erin (and similar Irish-lite names like Megan, Caitlin, and Molly) because while I get the whole “Erin isn’t used in Ireland” thing, I do think they make great accessible first names to middles like Niamh, Saoirse, Aisling, or Roisin that’d be a bit… shall we say, challenging? Outside of the Emerald Isle. I like the sound of the name and its association, but I prefer Irish names that are commonly used as first names in Ireland and I don’t think Erin is. It’s true that it isn’t a traditional name in Ireland, but it’s actually trendy there right now—#36 in the data for 2013, which was just released by the government statistics office. I’m not from there, so I have no idea if it’s viewed as silly, flimsy, etc., by a large proportion of the population, but obviously the heritage aspect appeals to many people there too. It’s also been REALLY popular in Scotland lately—not sure if it’s due to the common Celtic heritage, or that they just like the sound. As a name lover, I’ve always wished my name had more of a history of use, but it does have some nice associations nonetheless. 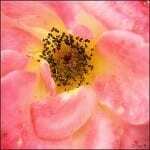 My full name is Erin Kathleen, after my grandmother. I have always thought the -in/-een endings sound nice together, almost sing-songy but not quite. My only real problem as an Erin has been that there are really a LOT of Aarons, of all ages, and unfortunately I’ve never lived in one of the places where the pronunciations are different, so I almost always have one or two coworkers, friends, etc., with the “same” name (Aarons, not Erins). However, due to the heritage-choice aspect I’ll sometimes run into pockets where Erins are rampant. My college was Catholic (and therefore heavily populated by students of Irish descent)—in my freshman calculus class, out of approximately forty female students, there were six of us! That’s not likely to happen to a baby, of course, due to the name’s much lower current popularity, but it was thoroughly ridiculous at the time! I have always liked Erin. I grew up with a few and it feels a little unusual for a baby born now. However, I really like the sound. Still, I can say that it wears VERY well. Fits right in with the surnamey, gender-neutral names, as well as the more feminine choices. She seems more like Allison than Madison to me. Madison seems too tied to our moment, a name that will fall quickly, while Allison and Erin feel like modern staples.